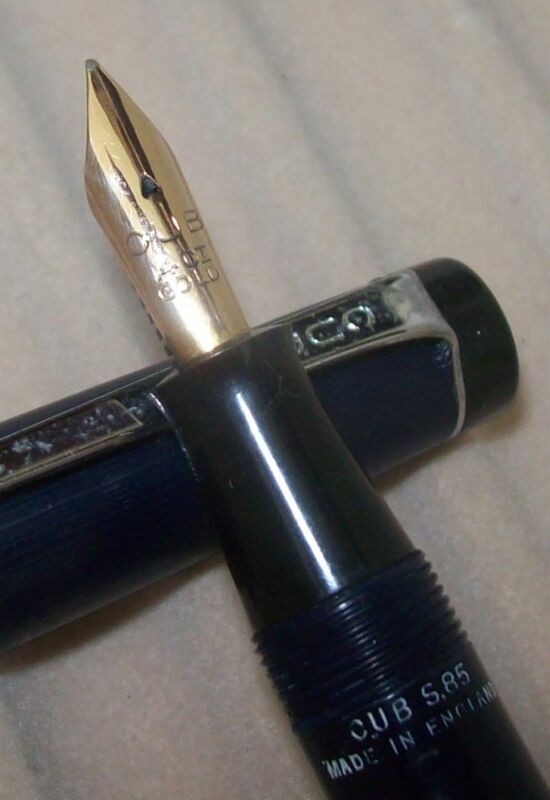 This "Blue Peak" pen was marketed by a medium sized office supplies company based in Glamorgan, and the instruction leaflet enclosed in the box suggests a date of May 1946. 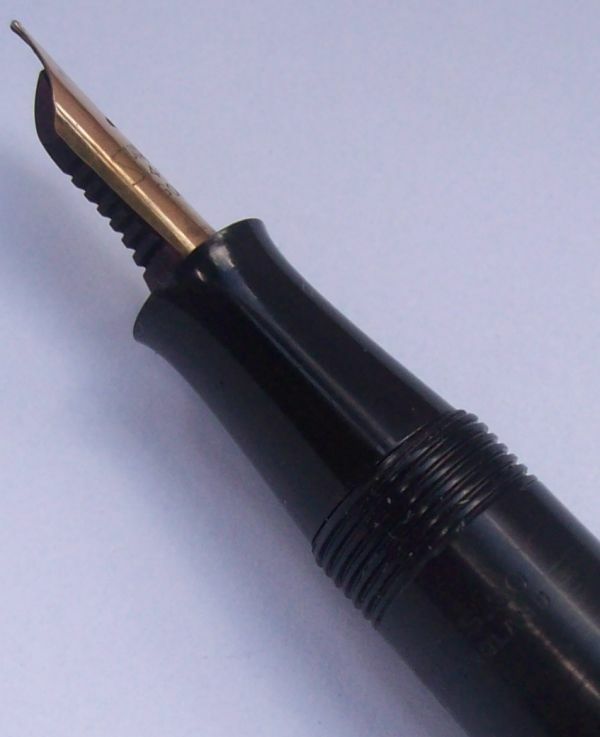 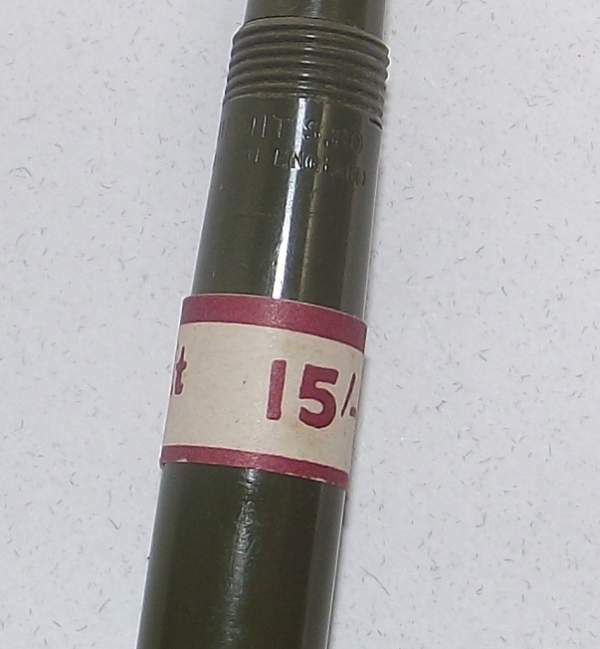 A smaller stubby pen that appears to have been produced for a short period of time immediately following (or possibly overlapping) the final days of the H range. 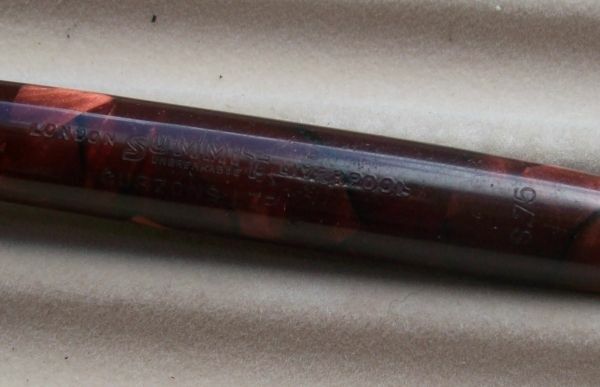 The materials used would appear to be the same as that found on some of the later H models. 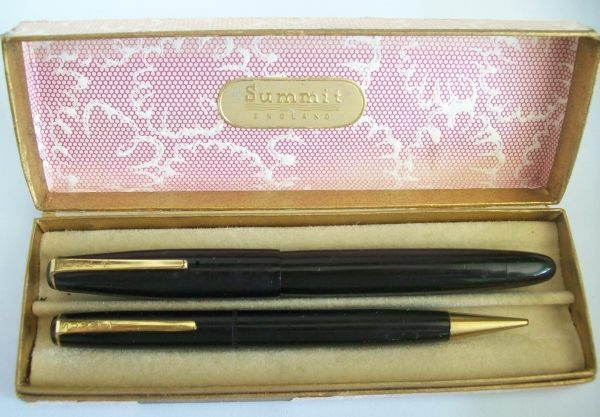 The S.80 model was a small, pocket type pen, measuring 112mm, and dating from the end of the 1940's.The nib was a summit branded 14 ct gold, and the barrel stamp is located below the barrel threads. 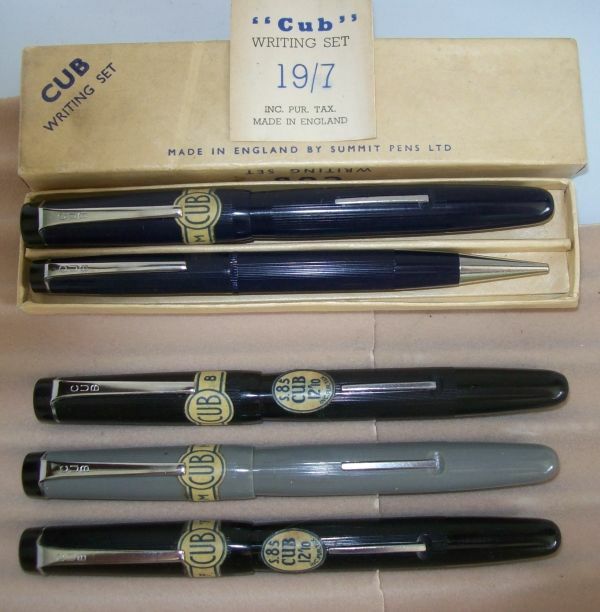 I currently believe it was only produced in the standard Summit plain colours - Black, Grey, Blue, Green, & Maroon.